California Internet, L.P. DBA GeoLinks (“GeoLinks” or the “Company”) submits these replies to comments filed in response to the Commission’s NPRM proposing reforms to the Commission’s competitive overlap process in legacy rate-of-return (“RoR”) study areas. GeoLinks is proud to service the largest coverage area of any single fixed wireless Internet service provider in the state the California and was recently named one of the ten most trusted networking solution providers for 2018. As the Company has grown its territory has grown, as well, expanding availability of its broadband and VoIP offerings into many rural areas of the state. As GeoLinks has noted in several proceedings before the Commission, sparsely populated rural areas are not well suited for traditional, wired broadband service given the cost to build and deliver a cable/ fiber-based network. However, fixed wireless broadband technology can often provide high-speed broadband to consumers in these areas for a fraction of the cost.  Therefore, GeoLinks believes that the Commission should consider changes to the high-cost program that reflect efficiencies that may be offered by competitive carriers. 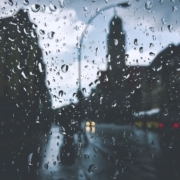 Many commenters voice strong opinions regarding the Commission’s 100% overlap process and it is clear that there is stark contrast between the opinions of RoR incumbent local exchange carriers (“ILECs”) and competitive carriers in this regard. 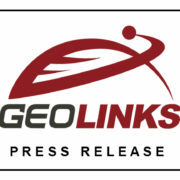 As an initial matter, GeoLinks commends the Commission on its inquiry into whether this challenge process should be revised and urges the Commission to make a determination based on what challenge process will “maximize available funding for broadband networks.” Specifically, GeoLinks urges the Commission to revise its 100% overlap process to account for current competitive realities. As the Commission explains, “to date there has been little participation by unsubsidized competitors.” The RoR ILECs try to explain that this lack of participation is indicative of some shortcoming on the part of competitive carriers. WTA provides examples of unsuccessful attempts to prove 100% overlap. However, instead of showing that the problem is the “nature and quality” of the services offered by competitive carriers, these examples illustrate the inherent problem with the current 100% overlap process – that it ignores the overlap that does exist, no matter how significant, if it is anything less than 100%. The reality is that the 100% overlap process does not account for the way in which competitive carriers structure their networks and service territories. Unlike ILECs, competitive carriers do not have “study areas.” Instead, competitive carriers’ networks have formed based on consumer demand and market forces. As such, a competitive carrier may have a large network area that overlaps a portion of an RoR ILEC’s service area (perhaps a significant portion) but may not cover 100% of the study area. In addition, as the Commission notes, while one competitive carrier may not cover a signification portion of a RoR ILEC study area by itself, a combination of competitive carriers might. The lack of overlap by one competitive carrier of an entire study area should not negate the reality that overlap is occurring and that competition exists within those areas of overlap. As even NTCA – The Rural Broadband Association notes, “the entire point of the competitive overlap process is to ensure that support does not flow to areas where overlap exists.” It is difficult for GeoLinks to understand the argument by RoR ILECs that less than 100% overlap should be ignored while also acknowledging that the fund should not subsidize areas where overlap occurs. For these reasons, GeoLinks urges the Commission to revise its 100% overlap process. As explained above, competitive solutions, such as those offered by fixed wireless broadband technology, can often provide high-speed broadband to consumers in sparsely populated areas for a fraction of the cost of traditional fiber/cable-based networks. The same concept is applicable to the RoR ILEC study areas at issue here. As NCTA suggests, in these areas, non-incumbent carriers could compete to receive only the amount of funding needed to serve high-cost and unserved areas (which may be significantly less than what it might cost a RoR ILEC to serve the same area). 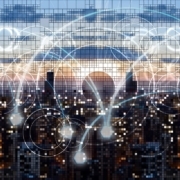 GeoLinks believes this would promote more efficient use of high-cost funds, which could ultimately free up additional funding for additional broadband deployment efforts. Moreover, in considering an auction mechanism, the Commission should disregard RoR ILEC’s weak arguments that competitive carriers are somehow unable to offer service in unserved areas. As made clear in the Connect American Fund II Auction proceeding, numerous competitive carriers have been deemed financially and operationally qualified to bid on eligible areas. Obviously, the Commission has seen the benefits of what competitive providers can offer and should not now be persuaded otherwise. In conclusion, GeoLinks urges the Commission to revise its 100% overlap process and create an auction mechanism that will allows for more efficient used of high-cost funds. 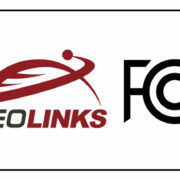 See Connect America Fund, et al., Report and Order, Third Order on Reconsideration, and Notice of Proposed Rulemaking, FCC 18-29 (rel. March 23, 2018) (“NPRM”). 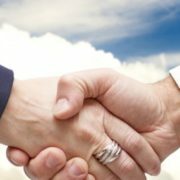 Insights Success, available at https://www.insightssuccess.com/the-10-most-trusted-networking-solution-providers-2018-june2018/. See Comments of WTA – Advocates for Rural Broadband, GN Docket No. 10-90 (filed May 25, 2018), at 36 (“WTA Comments”). See WTA Comments at 35-36. Comments of NTCA – The Rural Broadband Association, GN Docket No. 10-90 (filed May 25, 2018), at 59 (“NTCA Comments”). Comments of NCTA – the Internet and Television Association, GN Docket No. 10-90 (filed May 25, 2018) at 4 (“NCTA Comments”). Comments of the Wireless Internet Service Providers Association, GN Docket No. 10-90 (filed May 25, 2018), at 1 (“WISPA Comments”). See WISPA Comments at 1 and NCTA Comments at 4. See Connect America Fund Phase II Auction Status of Short-Form Applications to Participate in Auction 90, Public Notice, WC Docket No. 10-90 (rel. May 14, 2018). 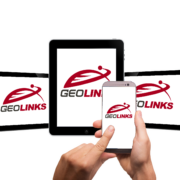 GeoLinks: Connecting Clients with Innovative Telecom Solutions What is Dedicated Internet Access?